As announced by the City of Boston and the BRA, the new building energy model is an integral part of the Boston Community Energy Study. It supports stakeholders and decision-makers to figure out saving potentials and opportunities regarding greenhouse gas emissions, energy demand and costs in Boston. In order to process the data and develop the model, the approximately 92,000 buildings in Boston have been classified in 48 different building types. Furthermore, twelve use categories were specified to distinguish the different characteristics influencing supply and demand of energy over the time. 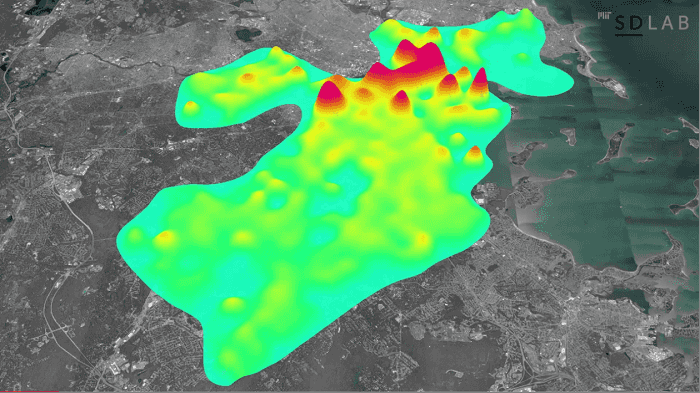 The geographic information systems dataset of Boston with its building geometry, property tax assessment records, and the several types of parcel use are also taken into account. According to Reinhart and Cerezo, their decision-making tool is designed to focus on problem areas, for example, peak electricity demands of buildings on hot summer days, and to identify worthwhile saving opportunities.